Initial evaluation begins with the team reviewing personal and family health history while exploring the ways acid reflux is impacting our patient’s quality of life. Every effort is made to provide complete information on the resulting symptoms that the patient is experiencing. Clear discussions that explain the diagnostic testing assure patients are comfortable and well informed of the rationale for each procedure and how the results will be used in planning disease management. Baseline diagnostic assessments include the best practice core technology of endoscopy, ambulatory pH testing, biopsies, and manometry. Further detailed testing may be employed based on each patient’s individualized history and presenting symptoms. Comprehensive consultation with the GERD specialist will be coordinated following the assembly and evaluation of the diagnostic exams to review the outcomes and present the options available for reflux disease management. The team is dedicated to providing patients all the resources needed to make an informed, shared decision and support them throughout the process. We utilize the latest imaging technology to view esophageal tissue and evaluate the structure and appearance of the gastrointestinal system. 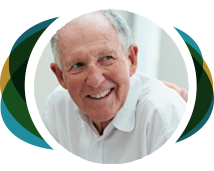 From there we can perform an array of testing, including pH testing, esophageal function testing, and an in-depth cancer assessment to help formulate an individualized treatment plan. Allows the reflux specialist to look at the tissue of the esophagus, stomach and first portion of the small intestine by advancing an illuminated thin flexible tube with a camera through the mouth. The physician can then evaluate and photograph the structure and appearance of the upper gastrointestinal system. Tissues are examined under different wavelengths of light in order to better visualize and inspect for even the smallest abnormalities. EGD can identify anatomic abnormalities such as hiatal hernias, esophageal diverticula, esophageal strictures, esophagitis, Barrett’s esophagus, esophageal cancer, gastric and duodenal ulcers, and gastric cancer. The WATS3D Biopsy is an adjunct to standard forceps biopsy of the esophagus which increases the tissue area sampled and therefore, increases the yield of patients identified with abnormality in the esophagus. The WATS3D biopsy device is passed through the operating channel of a standard endoscope. WATS3D is specifically designed to consistently sample deeper layers of the more firmly attached glandular epithelium found in Barrett’s esophagus. Refers to the collection tiny tissue samples from the esophagus that are gathered with upper endoscopy then sent to a pathologist to examine under a microscope. This is an additional test to look for the presence of precancerous cells, cancerous cells, or other conditions of the gastrointestinal tract. A 48 hour evaluation of the acid patterns throughout everyday activities. During endoscopy, a small transmitter capsule is attached to the lining of the esophagus with gentle suction. Signals are then sent to a small recording device that the patient keeps close over a two day period. Information from this wireless device is downloaded into a specialized computer program to provide detailed graphs and calculations on acid reflux occurrence. Measures the function of the lower esophageal sphincter (the valve that prevents reflux of gastric acid into the esophagus) and the muscles of the esophagus. This diagnostic modality can also detect anatomic abnormalities such as hiatal hernias. It is also used to detect functional abnormalities such as achalasia (failure of the lower esophageal sphincter to relax appropriately), esophageal spasms, or ineffective esophageal motility. Manometry is extremely important in patients considering anti-reflux surgery, as it will help determine which procedure will be most effective for a particular patient. During this procedure a technician places a catheter into the nose and then guides it into the stomach. The patient then swallows small amounts of water and multiple pressures throughout the esophagus are recorded. High resolution manometry can also combine Impedance testing to examine the correlation of fluid movement in the esophagus with esophageal contractions. Manometry and ambulatory pH monitoring are evaluated in tandem to create an accurate picture of reflux patterns and damage. Determines the frequency of reflux episodes and the time relationship of reflux episodes and symptoms. The impedance–pH monitoring test determines if the patient's symptoms are related to acid reflux, related to nonacid reflux, or not related to reflux of any type. It is most useful when a patient has symptoms consistent with reflux but has had a negative ambulatory pH test for acid reflux. It can be utilized for patients with contraindications to ambulatory pH testing or endoscopy. This is typically a 24 hour study that provides similar information regarding the acid patterns that occur during a typical patient day. Can be utilized for the evaluation of non-typical reflux symptoms such as persistent cough, hoarseness, sore throat or nasal and ear congestion. This can be recommended in addition to ambulatory pH testing with a focus on determining the impact of reflux on the back of the throat, larynx (voice box) and sinuses. Is an exam completed in radiology where a contrast liquid is swallowed and the path of the contrast through the esophagus and stomach can be observed to determine the function of these organs; specifically the ability to move food or fluid through effectively. Sometimes things as simple as lifestyle alterations, medications, and other changes can greatly impact the severity of acid reflux symptoms. Our staff works with non-surgical patients to implement these treatment paths. The most simple and safest option is modification of a patient’s lifestyle. These and other lifestyle changes can make a real difference in the severity of acid reflux symptoms. Our staff understands and works with patients on utilizing these changes. However, most of our patients need something more. Medications have become very popular in the treatment of GERD. The most common medications are Antacids, H2 blockers, and Proton Pump Inhibitors. Antacids (TUMS) reduce the effect of (neutralize) the acid in your stomach. They can provide fast, short-term relief. Many OTC medicines combine different antacids. H2 blockers reduce the amount of acid your stomach makes. While they don’t relieve symptoms right away, H2 blockers relieve symptoms for a longer period of time than antacids. They usually start to work within an hour. Examples of H2 blockers available over the counter are ranitidine (brand name: Zantac) or famotidine (brand name: Pepcid). Proton Pump Inhibitors (PPIs) greatly reduce your body’s production of acid. They work well for heartburn that isn’t resolved by antacids or H2 blockers. It may take a little longer for a proton pump inhibitor to help your symptoms than an H2 blocker, but relief will last longer. These medicines are most helpful for people who have heartburn often — more than 2 days a week. Omeprazole (brand name: Prilosec) and lansoprazole (brand name: Prevacid 24HR) are examples of OTC proton pump inhibitors. Unfortunately, these medications are often not taken correctly. The package insert and instructions regarding the consumption of these drugs for heartburn treatment are usually disregarded. There are specific instructions accompanying some of the most powerful medications not to take them for more than 14 days without seeing a physician. However, since symptoms are improved or resolved, patients continue to purchase and consume them. Many patients have symptoms that progress requiring escalation to prescription strength medicines. These GERD treatment medications have a down side of which many patients are not informed. Even though symptoms improve, the reflux is not stopped or even reduced. Complications from GERD, including cancer, can still occur even though the reflux is no longer felt. There are short-term side effects such as headache, diarrhea and abdominal pain and over the long term they may increase the risk of heart disease, kidney failure, dementia, hip fractures, cause low magnesium levels in the blood and increase the risk of pneumonia and a severe type of colon infection called C-diff colitis. It is easy to see why the proper supervision of a qualified physician is needed. The Northwest Institute for Digestive Surgery understands how to utilize these medications in a way that is safe and provides the best relief possible. In addition, before being placed on a medicine, with all of the inconveniences, cost and potential side effects, we make sure they are needed and work with our patients determining whether this medical therapy is best. These drugs are vastly overused and it is estimated that about 30 percent of patients taking PPIs do not actually have reflux and will require other treatment options. We offer the comprehensive testing to confirm the diagnosis of acid reflux and make sure these medications provide maximal benefit. Unfortunately, approximately 40 percent of patients do not find the relief they are seeking from medications and continue to suffer needlessly. They are generally not offered adequate testing and other treatment options. 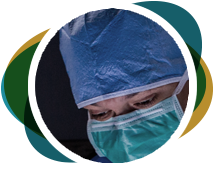 When non-surgical methods fail, are deemed inappropriate, or are undesirable by the patient, we offer the most up to date minimally invasive surgical options available. 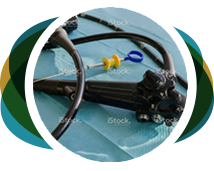 To assess a person's candidacy for anti-reflux surgical treatment, an evaluation with routine diagnostic tests will be required. These may include an upper endoscopy, high resolution esophageal manometry and impedance, and ambulatory pH testing. Additionally, some patients may require a barium swallow and/or gastric emptying study. Combined, these studies help your physician understand the anatomy and function of the upper digestive tract and will determine if surgery can be safely performed with an expected benefit to the patient. 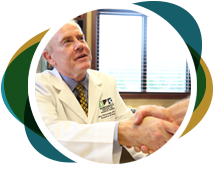 The surgical approach is specifically tailored to each patient based on results of these diagnostic procedures. These studies help your physician understand the anatomy and function of the upper digestive tract and will determine if surgery can be safely performed. Historically, the most common surgical procedure used to treat reflux disease is the Nissen Fundoplication. This procedure was developed in 1958. During this procedure, hiatal hernias are reduced and the diaphragmatic hiatus is repaired by suturing the diaphragmatic muscle. The upper portion of the stomach (fundus) is then wrapped behind the esophagus and tied to itself (plication). In describing this operation we refer to this as being like a "hot dog in a bun". Dr. Pennings and Dr. Richardson perform this operation with a minimally invasive technique. There are also several variations of the fundoplication (ie. Toupet fundoplication, Dor Fundoplication, Collis-Nissen Fundoplication) that patients may require based on their anatomy and esophageal function. Accurately interpreting a patient’s preoperative testing combined with proper selection and performance of the correct procedure is paramount in ensuring an excellent surgical outcome. The LINX System is a small flexible band of interlinked titanium beads with magnetic cores. The magnetic attraction between the beads is intended to help the lower esophageal sphincter resist opening to gastric pressures, preventing reflux from the stomach into the esophagus. LINX is designed so that swallowing forces temporarily break the magnetic bond, allowing food and liquid to pass normally into the stomach. Magnetic attraction of the device is designed to close the lower esophageal sphincter immediately after swallowing, restoring the body's natural barrier to reflux. The LINX system is implanted during an outpatient laparoscopic procedure. Barrett's esophagus describes a condition in which the lining of the esophagus changes its character and cell type in response to chronic gastroesophageal reflux. This is done by the body in an attempt to protect itself from the chemical injury caused by the gastric juices. Unfortunately, this type of transformation promotes the development of esophageal cancer. Patients with Barrett’s Esophagus have a 30-40 times increased risk of developing esophageal cancer. Radiofrequency Ablation is a new and highly successful treatment that has been developed to correct this problem. This is a relatively simple endoscopic procedure during which the Barrett's mucosa of the esophagus is treated with a controlled delivery of radiofrequency energy causing the lining of the esophagus to slough off. During the repair process, normal esophageal cells replace the Barrett's mucosa lining. This reduces the risk of future cancer development. If a patient suffers from chronic gastroesophageal reflux disease it is important to have a diagnostic endoscopy to determine if they have developed Barrett's esophagus. If found this can and should be treated and the patient should be placed on a specific endoscopic surveillance program. Physician owned and operated, the difference. How do physician owned hospitals differ from community owned hospitals and how does it benefit me?